Today there are many minor celebrations worldwide. I will talk about three of them together – under the rubric Cuckoo Day – because they are minimally related. Let’s start with the feast day, the feast of SS Tiburtius, Valerian and Maximus, martyrs in Rome. Tiburtius, Valerian, and Maximus are three Christian martyrs who were buried on 14 April of some unspecified year in the Catacombs of Praetextatus on the Via Appia near Rome. 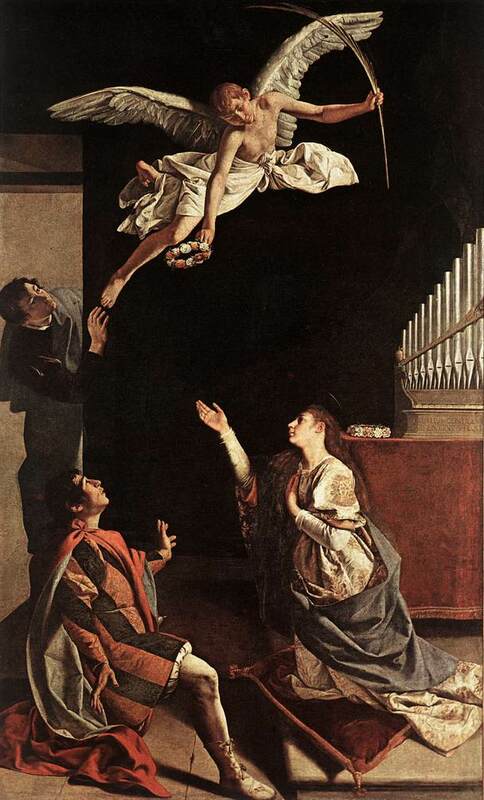 The Acts of Saint Cecilia represent Valerian as her husband, Tiburtius as his brother, and Maximus as a soldier or official who was martyred with the other two. But this work is generally considered not to be historical. 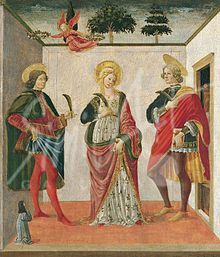 They were traditionally honored with a joint feast day on 14 April, as shown in the Tridentine Calendar. 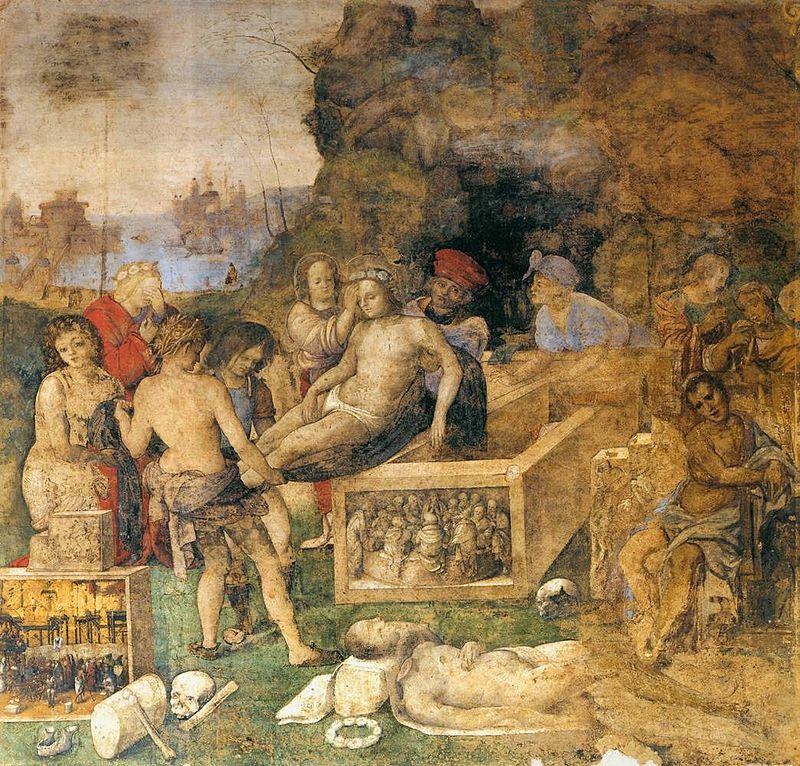 The 1969 revision of the General Roman Calendar removed this celebration, since the only thing really known about them is the historical fact of their burial in the Catacombs of Praetextatus. However, it allowed them to be honored in local calendars. An old English saying says: “The cuckoo sings from St Tiburtius’s Day to St John’s day [June 24]”. Hence today is sometimes celebrated as Cuckoo Day in England Although strongly identified with St Tiburtius’s Day, Cuckoo Day may better be described as a moveable feast dependent upon the variability of Nature. The common cuckoo, Cuculus canorus, overwinters in Africa and returns to the UK in Spring, but the arrival date varies. Several communities in England, notably Marsden in Yorkshire, have cuckoo fairs in April to welcome spring. 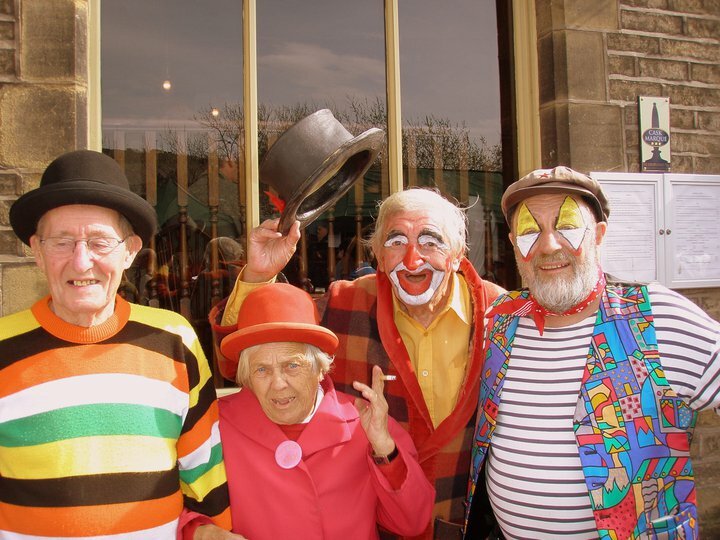 Marsden Cuckoo Festival takes place each year on a designated Saturday in April near to 14 April. I remember as a schoolboy in England, newly arrived from Australia, walking to school down a wooded country lane and hearing a clear and unmistakable coooo koooo from a tree to my right. “No,” I thought, “that’s somebody hiding and making that sound.” It was so clear and obvious. The first cuckoo of Spring, and my first ever cuckoo. 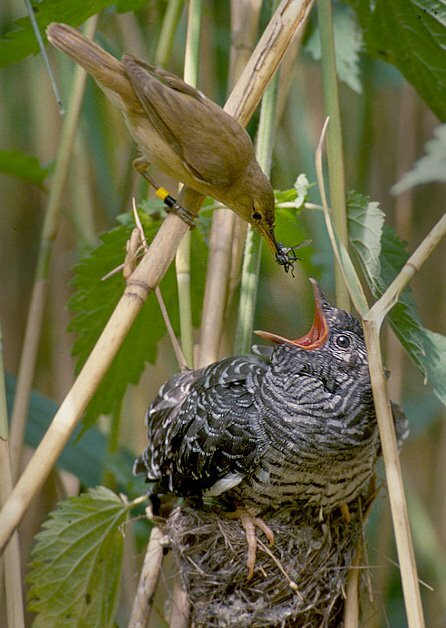 The common cuckoo is well known for laying its eggs in the nests of other birds. The cuckoo hatches first and tosses out the other eggs so that the poor “mother” is left to raise the cuckoo instead of its own chicks. The tune was used in the South Midlands for a morris dance in some villages. In the group I used to dance for it is customary when we get together for a feast for the eldest bachelor to begin the singing after dinner with his rendition of the song. So we migrate to Black Day. This is an Asian celebration begun in South Korea but now spreading to other parts of Asia. Black Day is the third in a trinity of celebrations on the 14th of the month. First is 14 February celebrated worldwide as Valentine’s Day (http://www.bookofdaystales.com/st-valentine/ ), then 14 March or White Day (http://www.bookofdaystales.com/white-day/ ), begun in Japan as a marketing ploy; a day to reciprocate gifts given on Valentine’s Day. South Korean businesses then followed with Black Day on 14 April, a day for single people to lament/celebrate their status. Those who didn’t give or receive gifts on Valentine’s Day or White Day, can get together and eat jajang myeon (jja jang myeong), Korean-Chinese noodles with black bean sauce to commiserate their singledom. Jajangmyeon (자장면; 짜장면; jjajangmyeon) is a Korean Chinese dish of special noodles dish topped with a thick sauce made of chunjang (a salty black soybean paste), diced pork and vegetables, and sometimes also seafood. Jajang (alternately spelled jjajang), the name of the sauce when heated, is the Korean pronunciation of the Chinese characters 炸醬, which literally means ” deep fried sauce.” Myeon (also spelled myun) means “noodle”, which is represented by the Chinese character 麵. The dish originated from zhajiangmian (炸醬麵, literally “fried sauce noodles”) in China’s Shandong region. Zhajiangmian was adapted in Korea to fit the Korean palate. Jajangmyeon is legendarily traced back to the Joseon Dynasty. When the Joseon opened the Incheon port, many Chinese people from the Shandong region moved to a town in Incheon, which is now known as Incheon China Town. These people started Chinese restaurants and adapted the traditional Shandong food zhajiangmian in a way that Korean people could enjoy. 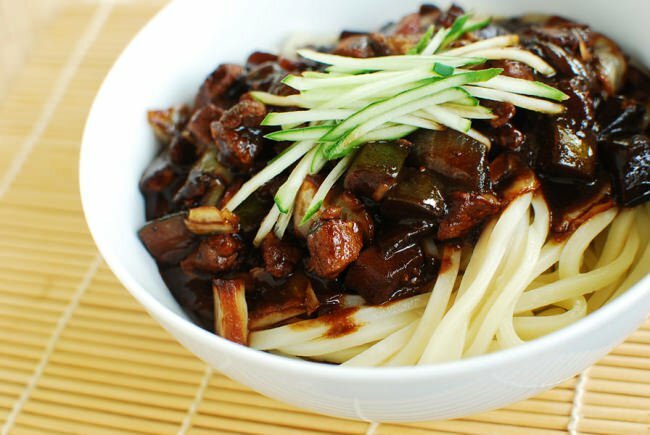 Originally jajangmyeon was a cheap dish that the working class enjoyed and was more akin to Shandong region’s zhajiangmian than the current day Korean jajamyeon. After the Korean War, Korean chunjang was invented. Korean chunjang has caramel added to give it a sweet taste. After this jajangmyeon became a completely different dish from zhajiangmian. The pronunciation of the dish’s name is nearly identical to that of its Korean counterpart. But Korean jajangmyeon differs from Chinese zhajiangmian, as Korean jjajangmyeon uses black Korean chunjang including caramel, and onions. Jajangmyeon uses thick noodles made from white wheat flour. The noodles, which are made entirely by hand and not by machines, are called sutamyeon (수타면; 手打麵) are praised in South Korea as an essential ingredient of good jajangmyeon. While in Beijing cuisine, yellow soybean paste (黃醬) is used, in Tianjin and other parts of China tianmianjiang (甜麵醬), hoisin sauce (海鮮醬), or broad (fava) bean sauce (荳瓣醬) may be used in place of the yellow soybean paste. However, In Korea, the sauce is made with a dark soybean paste. This paste, which is made from roasted soybeans and caramel, is called chunjang (literally “spring paste”, hangul: 춘장; Chinese: 春醬) when unheated, while the heated sauce (containing vegetables and meat or seafood) is called jjajang (literally “fried sauce”). Chunjang is stir-fried with diced onions, ground meat (either beef or pork) or chopped seafood, and other ingredients. The meat stock is added to reduce the salty taste, and potato starch or cornstarch is added to give the sauce a thick consistency. The sauce is served hot over noodles, sometimes with sliced raw cucumbers. The same sauce is also used to make jajangbap (rice served with the sauce) and jajangtteokbokki (tteokbokki made with the sauce instead of the usual spicy sauce). Jajangmyeon is usually served with a small amount of danmuji (단무지). Danmuji are made of radish, specifically daikon. The dish is often served with a small amount of sliced raw onions, seasoned with rice vinegar, accompanied with a little chunjang sauce. The diner eats the noodles with danmuji and onions dipped in chunjang sauce. If this does not appeal, you can minimally celebrate with the Faroese who by custom never eat eggs on this day, which marks the end of winter. Tradition says that anyone who does will suffer boils for rest of year !! !